FOLLOWING on from their relative success in qualifying for World Cups in the 1950s, Scotland then embarked on a 16-year hiatus from the ‘Greatest Show on Earth’. That ended when they reached the 1974 tournament, and while you would perhaps believe that would equate to no Gers players at the World Cup in the interluding years, you’d be wrong. Orjan Persson, who made 117 appearances for the Light Blues between 1967 and 1970 while scoring a pretty impressive 33 goals from midfield, made the Sweden squad for the 1970 tournament in Mexico. 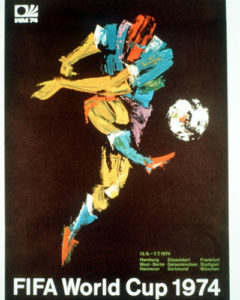 The Scandinavians were drawn in Group Two alongside Italy, Uruguay and Israel, with their opening game against the Italians, with no Persson in the side, ending in a narrow 1-0 loss. He was then, however, handed his chance to show what he could do in their next match from the start, as the Swedes were held to a 1-1 draw with Israel. The way results went elsewhere in the group meant it was a straight shootout between Sweden and Uruguay in the final match for qualification to the quarter-finals, with Persson and his countrymen needing to win by two clear goals to progress. They managed one goal, that coming in the 90th minute through Ove Grahn, but it wasn’t enough, with the South Americans going through to the next stage by just a single goal with the two nations tied on three points each. ON then to 1974, and the return of Scotland to the main stage of global football, with the tournament taking place just a short flight away in West Germany. Adding further to the excitement around the tournament was the fact the Scots were the only home nation to qualify. Despite there being a Rangers side at the time which was growing stronger under Jock Wallace and would go on to win three of the next four League Championships (with two of those being part of a treble) – only the great Sandy Jardine was selected from Ibrox. Connections to Gers in the tournament were limited throughout, however, with Jim Stewart, a future Ranger and club goalkeeping coach, the only other name of Light Blue significance in the Scotland squad, while Orjan Persson, by then back playing in his homeland, again was selected for Sweden. And so to the Scots, and their opening group game against unknown Africans Zaire. Jardine was picked from the start, and lined up alongside some true football greats like Billy Bremner, Kenny Dalglish, Joe Jordan and Denis Law. And so to game number two, with Scotland up against the might of Brazil in Frankfurt. Again, Jardine lined-up as the Scots earned, what on paper, was an excellent 0-0 draw, but they had a few opportunities to earn a result which would have been up there with the best ever achieved by a Dark Blue outfit. Three points after the first two games seemed a great return for the Scots, but their opponents in their final game, Yugoslavia, had knocked just the NINE goals past Zaire, meaning, with the assumption Brazil would demolish the Africans, a draw would not be enough for Scotland against the Balkans. But a draw, against an albeit decent Yugoslav outfit, is all they could achieve in their final game, where again Jardine played. Joe Jordan’s 88th minute equaliser for a 1-1 draw, coupled with a 3-0 win for Brazil over Zaire meant they missed out on the last eight by just a single goal. Their failure to rack up the goals against the ‘whipping boys’ of Zaire had cost them. Despite being unbeaten, Scotland were on the first flight home again. 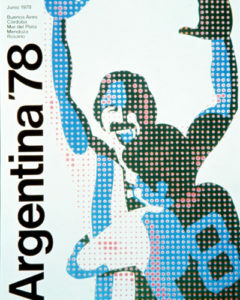 WHAT their performance in Germany did though, was give them great belief ahead of the 1978 tournament in Argentina, where again, they were the only home nation to qualify. So off to Argentina went Scotland, with Sandy Jardine again in tow, although this time he was joined in the squad by fellow Gers Tam Forsyth and Derek Johnstone – Johnstone having scored just the 38 goals as the Light Blues won the treble. Game one against Peru, which featured Tam Forsyth from the start, began well, with Joe Jordan opening the scoring after just 15 minutes. Peru hit back, however, and eventually humbled the Scots 3-1. It was a blow, of course, but the downtrodden mood around the camp was made even worse by events after the game. Former Gers star and hero of Barcelona ’72, Willie Johnston, tested positive for the banned stimulant Fencamfamin – an ingredient in the easily obtainable Reactavin, which he had taken for hayfever. It was a totally innocent move on the part of Johnston, who was swiftly bundled out of Argentina by the SFA and banned from international football for a year. Indeed, he never played again for the national team. With all that uproar and disruption going on in the background, the Scots had to prepare for their next game against Iran. Sandy Jardine started this game, with Forsyth emerging from the bench on 56 minutes. Neither could prevent another embarrassing result, this time a 1-1 draw with the Iranians coming from behind. To reach the next round Scotland would need to defeat the Netherlands by three goals or more to progress at their expense. What followed was one of the greatest ever performances by the men in Dark Blue – but typically – it still wasn’t enough. 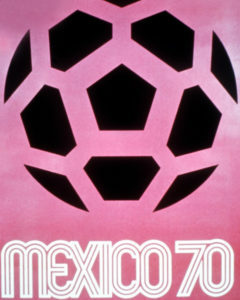 There was no place this time for Jardine, although Forsyth was recalled from the start while future Ibrox manager Graeme Souness made his first-ever appearance at a World Cup. After falling behind to a Rob Rensenbrink penalty, Kenny Dalglish equalised before Archie Gemmill scored from the spot for the Scots. Gemmill then netted ‘that’ famous goal, where he beat three Dutch defenders before finishing wonderfully to put the Scots within a goal of qualification. John Rep scored just three minutes later, however, to end the hopes and dreams of the nation, and once again, Scotland were out of the World Cup on goal difference and found themselves on the first flight back to Prestwick Airport. But before their wheels had even touched the ground in Ayrshire, the inquest into the failure had already begun. So many questions were asked of McLeod and his side, not least the lack of gametime for the free-scoring Johnstone, who was unused for the entirety of the tournament.